Remaster of Titan Quest and its expansion, Immortal Throne. Includes new content (bosses, challenges, etc. ), various quality-of-life fixes, Steam Workshop support, scalable UI for high resolutions, and more. Free for existing owners of any edition of Titan Quest on Steam. 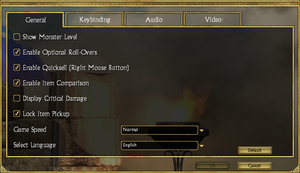 Saves from the original game are fully compatible and can be synced online with this edition. 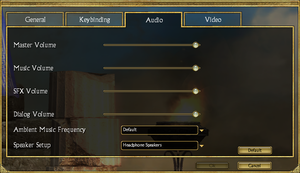 Includes numerous bugfixes developed by the community for the original Titan Quest. This may not completely fix the stuttering, but each step will further improve it. Move the game to an SSD or Ramdisk. Change the HUD scaling to medium in the games options. Restart the game. Find a rebirth fountain first to save your progress. 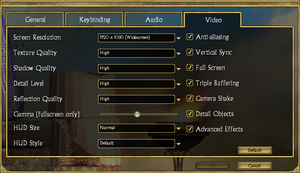 Recommended to set HUD scale setting to "Large" at 4K+ resolutions. Dialog with NPCs have associated text. However, speech spoken outside conversation does not. 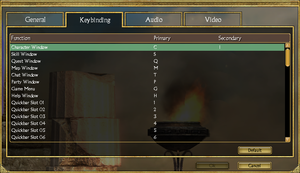 ↑ 1.0 1.1 File/folder structure within this directory reflects the path(s) listed for Windows and/or Steam game data (use Wine regedit to access Windows registry paths). Games with Steam Cloud support may store data in ~/.steam/steam/userdata/<user-id>/475150/ in addition to or instead of this directory. The app ID (475150) may differ in some cases. Treat backslashes as forward slashes. See the glossary page for details.